Our range of products include Hose Assemblies such as Hydraulic Hose Assemblies, Industrial Hose Assemblies and Low Pressure Hose Assemblies. 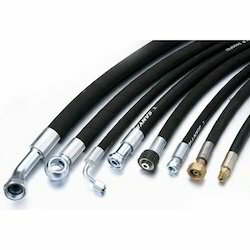 Being a client-centric organization, we are engaged in manufacturing, exporting, wholesaling, trading and retailing a broad array of Hydraulic Hose Assemblies. These products are manufactured with the help of modern machinery and technology that is installed at our infrastructure facility. Moreover, these products are dispatched at the clients' end in stipulated time-period. 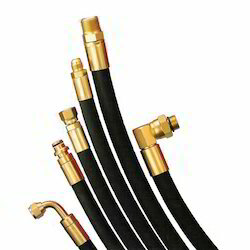 Acknowledged in the market as a manufacturer, exporter, wholesaler, trader and retailer, we are engrossed in offering our clients with Industrial Hose Assemblies. Our offered assemblies are developed in accordance with the international quality standards to attain highest benchmarks of quality. Further, these assemblies are checked thoroughly on various parameters by our quality controllers. To suit the demands of clients as a manufacturer, exporter, wholesaler, trader and retailer, we are engrossed in offering our clients with Low Pressure Hose Assemblies. Demanded in the national and international markets, these assemblies are developed in accordance with the international quality standards. Also, these products are available at industry leading prices.